View cart “The Twins Sheet Music” has been added to your cart. Piano sheet music for The Twins song from The Leftovers. I appreciate you taking the time to do this; I have a terrible ear, so having the sheet saves a lot of trouble. Question – the 15ma on page 2… that should be 15mb, no? And do you think the first 8th notes of each measure of the arpeggios (c, b flat, b natural) could be played as whole notes under the arpeggio? As for the first 8th notes played as a whole, if you feel confortable playing them, you should definitely do it. The Leftovers The Twins sheet music downloadable on this page is based on the piano cover I made for The Twins (Prague) song. You can hear this theme several times during the TV series The Leftovers. I made two The Leftovers sheet music. The first one is The Twins (Prague), which you can download here. The other one is The Leftovers opening theme, which you can check on The Leftovers Theme Sheet Music page, if you’re interested. I made this sheet music to be easily playable on piano solo. So if you’re a beginner piano player, this should be perfect for you. I made a lot of TV series sheet music, which you can find on the piano sheet music page. 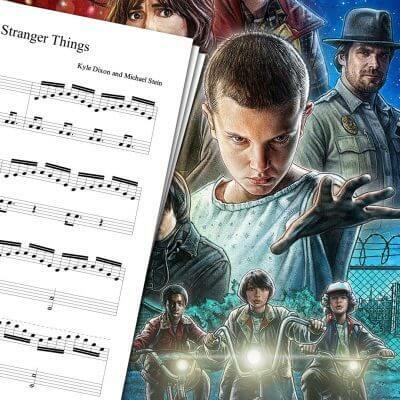 Game of Thrones The Rains of Castamere sheet music, Penny Dreadful opening sheet music, Stranger Things theme sheet music… You name it! The Twins (Prague) is a piano theme from The Leftovers, composed by Max Richter. It’s a haunting theme which get stuck in your head when you watch the show.